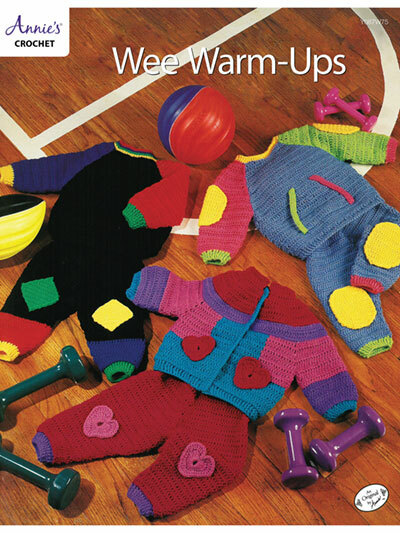 Colorful baby basics for cold weather! 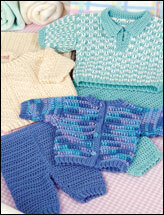 Crochet 6 sporty jogging sets that are soft and warm. 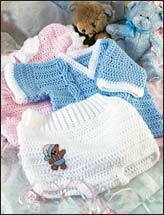 Each set is made using sport-weight yarn. 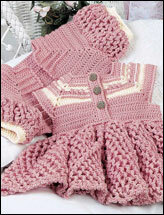 Sizes 6mo (12 mo, 18 mo).